Housewarming is a special occasion that brings happiness, when a family shifts into new home. The occasion is as ceremonious to others close to the family members, as it is for the family itself, because it sets platform for family and friends’ reunion. Bringing presents for the hosts is seen in most of the housewarming parties, as it is the best way to convey warm wishes. If you are also included in the guests list, then you would want to buy a nice housewarming gift for the family (hosts). Buying housewarming gifts such as photo frames, wall clocks, wind chimes, home décor items, would be a thoughtful idea. You can also buy personalized housewarming gifts, for the family. If your loved ones, who have invited you to their housewarming party, are faraway from you, then sending gifts online will be a nice option, because online gift shopping reduces time and can be done with ease. At awesomeji.com, you can send fabulous housewarming gifts online. If you are looking for the presents that are easy on your pocket, then you would find some of the best collections of housewarming presents, here. 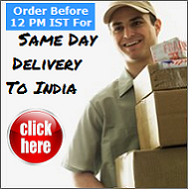 You can choose best among the various housewarming gifts given here and send them online.